F-502 TCG Bandırma returning from Deniz Yıldızı 2015 exercise in Black Sea. Photo: Yörük Işık. Used with permission. Large landing ship NL-125 TCG Osmangazi making a southbound passage (returning from Deniz Yıldızı 2015 exercise!?) through Bosphorus. Photo: Yörük Işık. Used with permission. F-491 TCG Gemlik returning from Deniz Yıldızı 2015 exercise in Black Sea. Photo: Yörük Işık. Used with permission. Tanker A-573 Binbaşı Sadettin Gürcan returning from Deniz Yıldızı 2015 exercise in Black Sea. Photo: Yörük Işık. Used with permission. F-500 TCG Bozcaada returning from Deniz Yıldızı 2015 exercise in Black Sea. Photo: Yörük Işık. Used with permission. 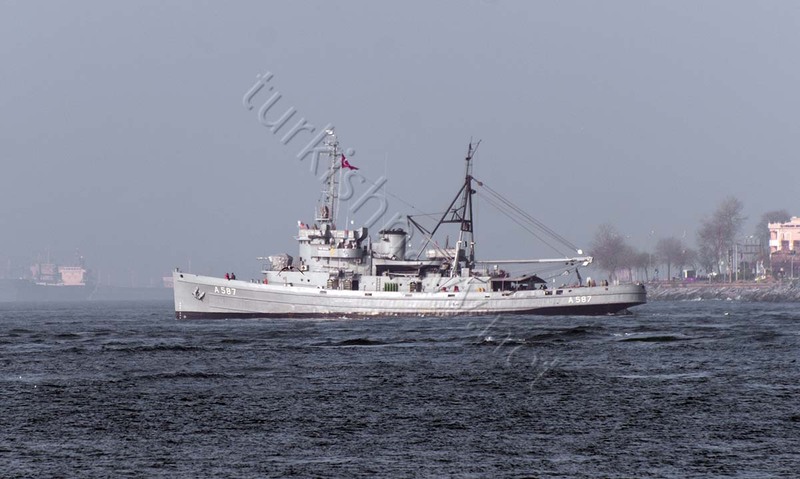 The oldest vessel in commission in Turkish Navy, A-578 TCG Gazal returning from the Deniz Yıldızı 2015 exercise. 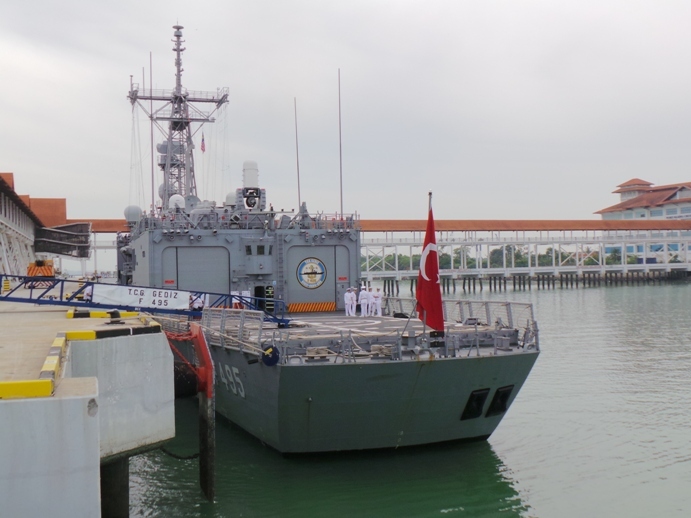 The Deniz Yıldızı 2015 exercise ended on 16 April 2015 and the participants returned to their home ports. 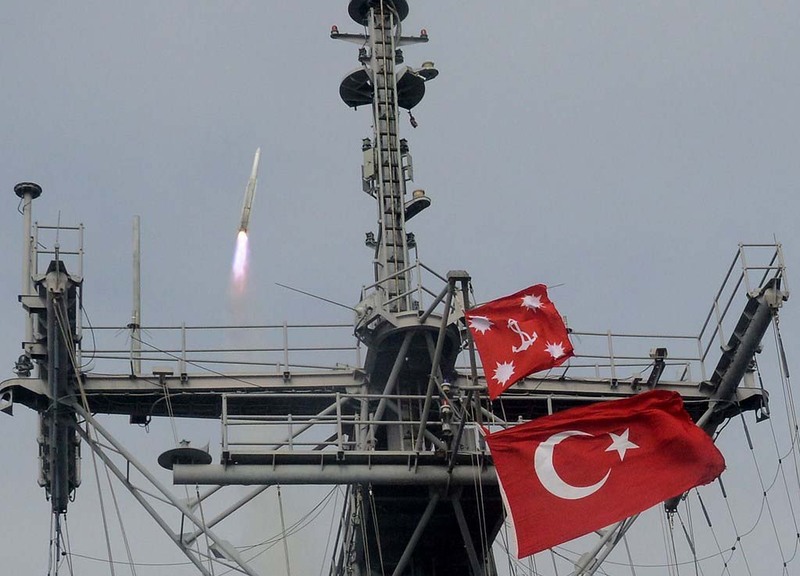 According to the Turkish Navy website following units took part 6 frigates, 3 corvettes, 5 fast attack craft, 2 submarines, 7 auxiliaries, 2 patrol boats, 3 maritime surveillance planes, 7 helicopters. Click here for the photos of the frigates and fast attack craft participating in the exercise. On 2 April 2015, the Gabya class frigate F-495 TCG Gediz set sail from Aksaz Naval base, Marmaris for a 122 day deployment. The highlight of this deployment will be the commemoration of the sinking of the Ottoman frigate Ertuğrul off the coast of Wakayama Prefecture in Japan. 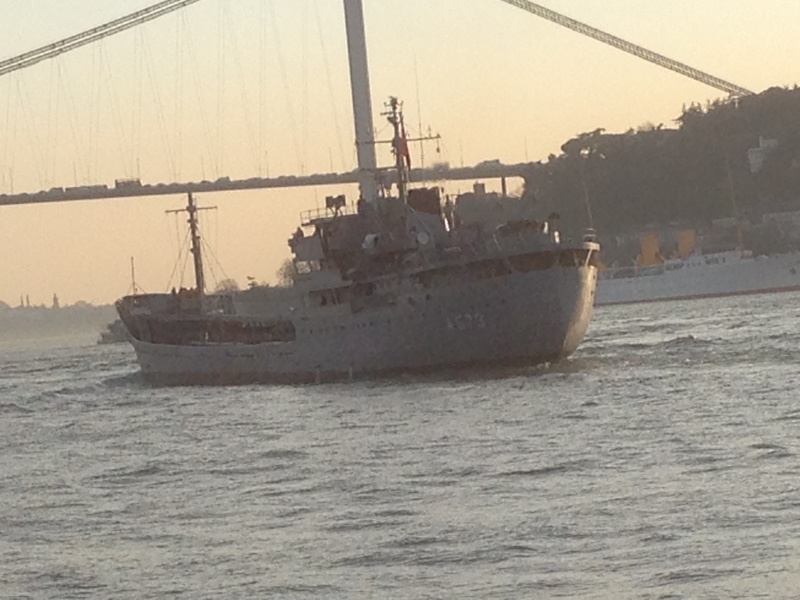 TCG Gediz will follow he original route of Ertuğrul 125 years ago and will visit 18 different ports in 14 countries. Ertuğrul, launched in 1863, was a sailing frigate of the Ottoman Navy. While returning from a goodwill voyage from Japan in 1890, she encountered a typhoon off the coast of Wakayama Prefecture, subsequently drifted into a reef and sank. The maritime accident resulted in the loss of 533 sailors, including Admiral Ali Osman Pasha. Only sixty-nine sailors and officers survived and returned home later aboard two Japanese corvettes. The Turkish Navy is participating to the Joint Warrior 2015 exercise with frigates F-496 TCG Gökova, F-497 TCG Göksu, submarine S-359 TCG Burakreis and mine hunter M-266 TCG Anamur. TCG Göksu is currently part of NATO’s naval task force SNMG-2 and TCG Anamur is with the NATO’s mine warfare task force SNMCMG-2. Exercise Joint Warrior is a semi-annual training exercise conducted in the coastal waters off the United Kingdom. The training, led by the United Kingdom, is designed to provide NATO and allied forces a multi-warfare environment in which to prepare for global operations. Participating countries aim to improve interoperability and prepare forces for future combined exercises. The exercise will run form Saturday 11 April until Friday 24 April and will feature 55 war ships and submarines, 70 aircraft and around 13,000 personnel from 13 participating countries. After the completion of the exercise TCG Gökova and TCG Burakreis will take in Flag Officer Sea Training in Plymouth between 4 May and 12 June 2015. 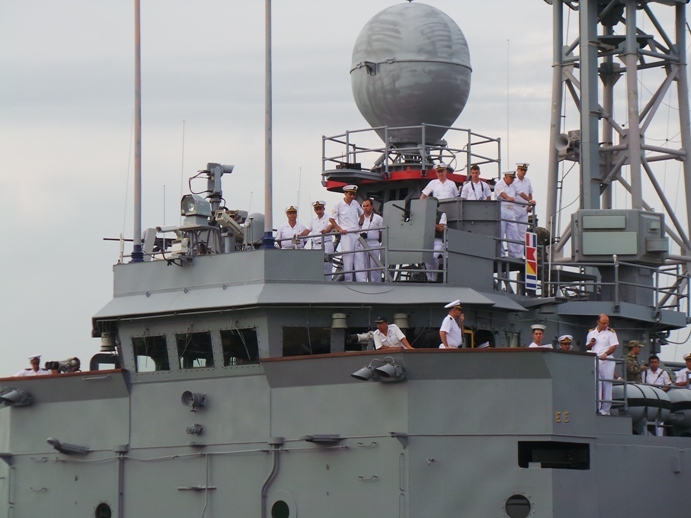 TCG Gediz with her new Smart Mk2 3D radar and Mk-41 VLS. The US Congress passed the Naval Vessel Transfer Act of 2013. With this act the President of USA is authorized to sell or to grant decommissioned US Navy warships to other countries. Usually the US Congress passes one Naval Transfer Act (NTA) once or twice in every legislation. And in each NTA certain warships and their prospective recipients are mentioned. Please mind that NTA is simply an authorization of US President by the Congress to offer these warships. The NTA does not means that the received recipients will accept this offer at the end. In previous Naval Transfers Act of years 2005, 2006, 2007, 2012 Turkey has been offered many ships from small mine hunters to large destroyers, by USA. And Turkey has not accepted any of these offers. In previous Naval Transfers Act of years 2003, 2008 Turkey was not offered any warships. I have a difficult time to understand the fuss around the omission of Turkey from Naval Transfer Act 2013. I guess some cheap politicians are trying to make some cheap gains by making something out of nothing. But the inclusion of Turkey proved controversial, as members of Congress pointed out Turkey’s increasingly hostile stance toward Israel and its threats against natural gas exploration by American companies near Cyprus. “I believe we should hold off on sending powerful warships to Turkey and encourage the government in Ankara to take a less belligerent approach to their neighbors,” said Representative Eliot Engel during that debate. But if the US lawmakers tried to give some kind of a signal to the Turkish government by not adding Turkey to the list of the nations that may get a frigate is beyond my understanding. But if they did; the message was not delivered as the medium is not the correct one. And what was the messages in year 2003 and 2008 where no warships have been offered to Turkey? Anyway, I do not think that any ship that US is prepared to transfer to Turkey is not powerful compared to what Turkish Navy operates. 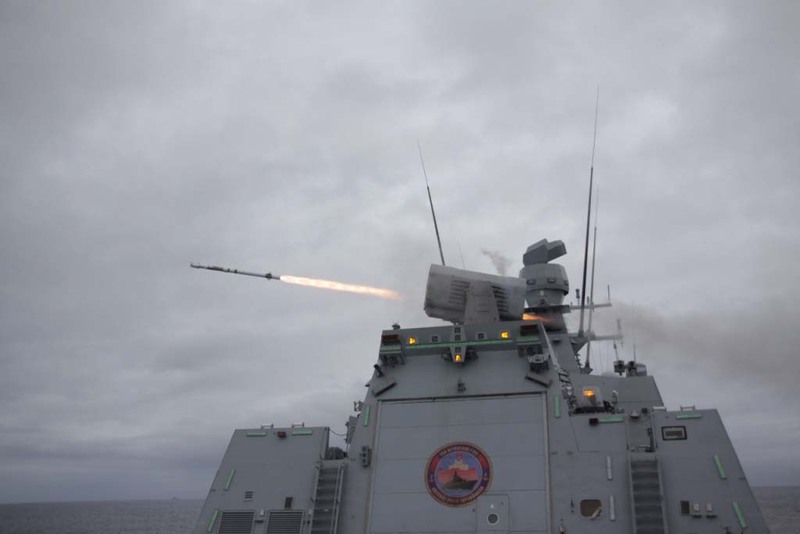 Turkish frigates have more punch, better sensors and a up-to-date combat management system compared to their counterparts in US Navy service. The only reason I can think, why Turkish Navy would want to have an old Perry class frigate from US Navy service is, to cannibalize it to provide spare parts to ours. But thank fully Perry class frigates are used besides USA, by Australia, Bahrain, Egypt, Pakistan, Poland, Spain, Turkey. Thus finding spare parts is not all to difficult. As I have already told, the lack of the warships especially Perry class frigates from NTA 2013, will not have any effect on the Turkish Navy at all from a technical point of view. On the contrary, we do not have to spend money and man power which are also needed for our ongoing local warship production projects. USA might be transferring warships to its allies but the ships have to be overhauled in US shipyards as NTA dictates, which means the allies have to transfer money to USA. 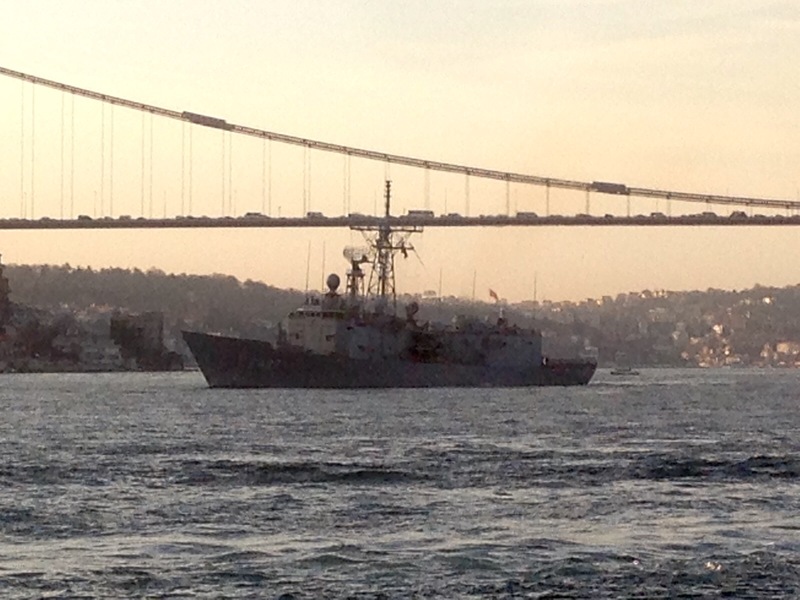 TCG Giresun passing through the Bosphorus. Note her new Smart Mk2 3D radar and MK41 VLS system. Photo: Yörük Işık. Used with permission. The Gabya (ex Perry) class frigate F-491 TCG Giresun seems to have gotten her new radar and vertical launcher. She is the last ship to received this upgrade. The new Thales SMART-S Mk2 3D radar replaced the incumbent AN/SPS-49(V)4 radar which was 2D. The addition of 8 cell Mk41 in the forecastle increased the range and the number of the anti-air missiles carried on board. The Mk41 will hold ESSM missiles. while the Mk13 keep housing the SM-1 Standard missiles. 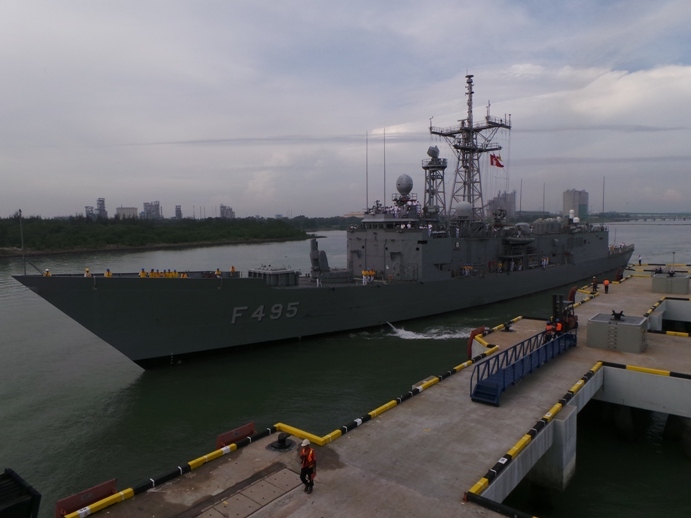 TCG Giresun is the fourth and final ship to undergo through this modernization. The other three are F-495 TCG Gediz, F-496 TCG Gökova, F-497 TCG Göksu. Turkish Navy has published a video from the test firings on Overberg Test Range. You can watch the RAM firing of TCG Heybeliada, Sea Sparrow firing of TCG Oruçreis, ESSM and SM-1 firings of TCG Gediz. 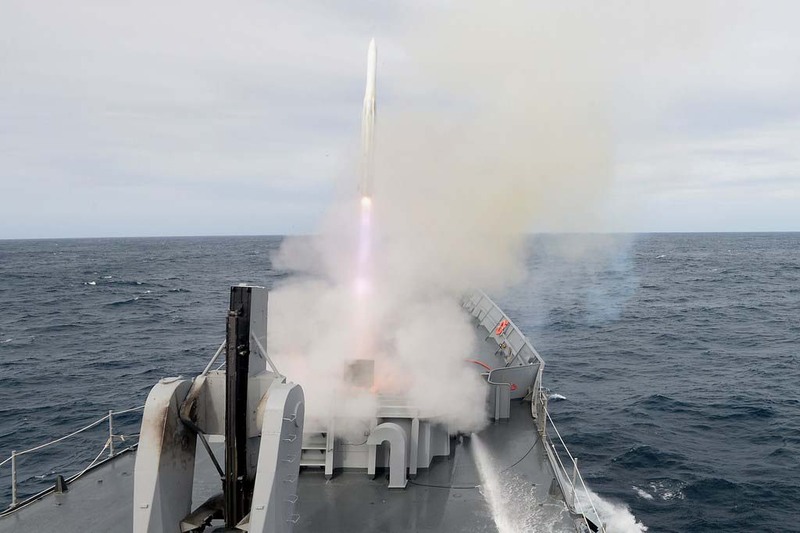 F-511 TCG Heybelida firing a RIM-116 RAM surface to air missile. Photo: Official Turkish Navy photo. According to Turkish Navy website the ships of the Barbaros Task Force demonstrated live missile firings in Delen Overberg Test Range in South Africa. 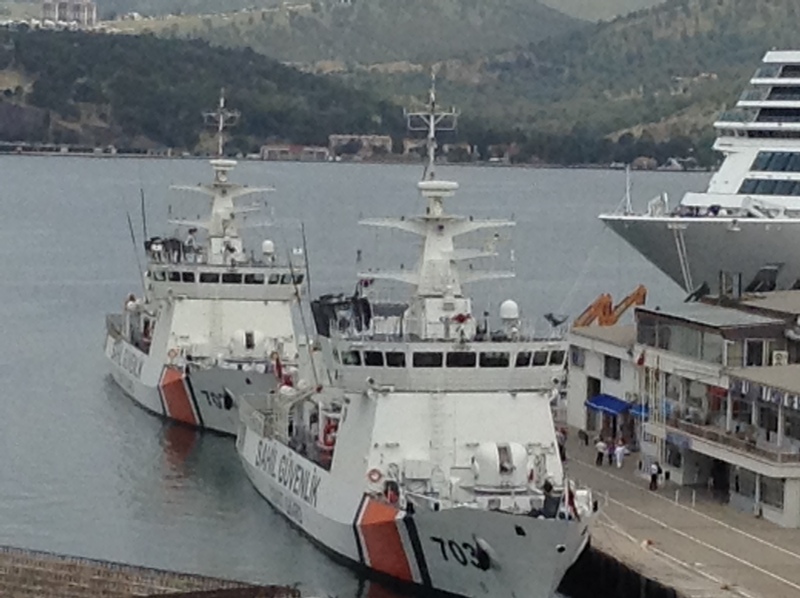 The frigate F-245 TCG Salihreis and the corvette F-511 TCG Heybeliada were at the range on 13 May 2014. 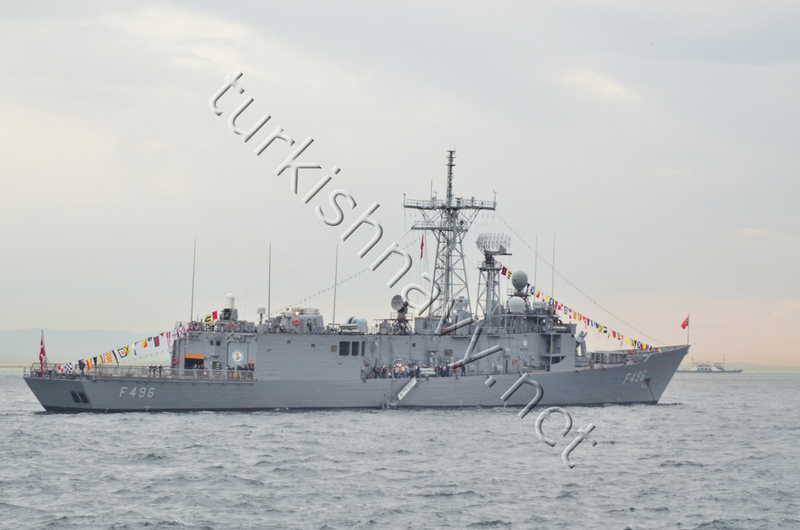 TCG Oruçreis conducted 5 Sea Sparrow firings while TCG Heybeliada shot one RAM missile. 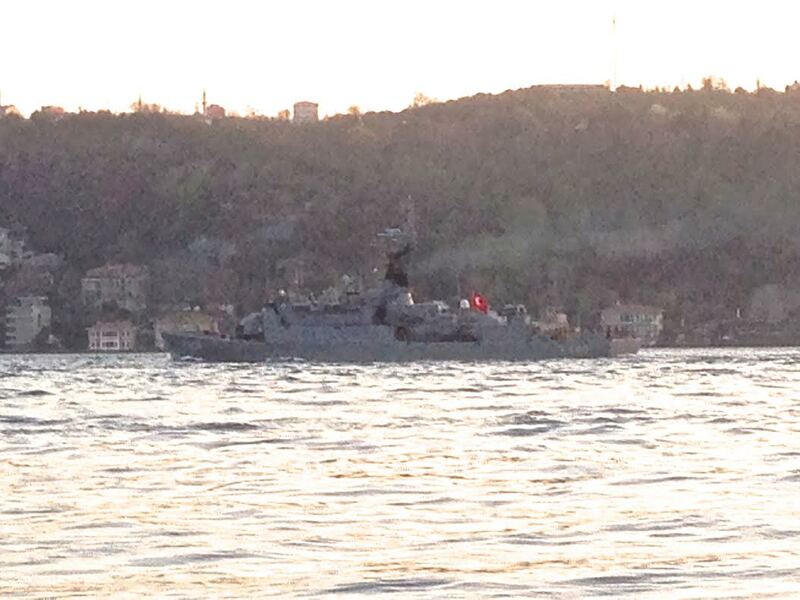 On 14 May 2014 TCG Gediz was on the range. She fired one SM-1 and one ESSM missile. 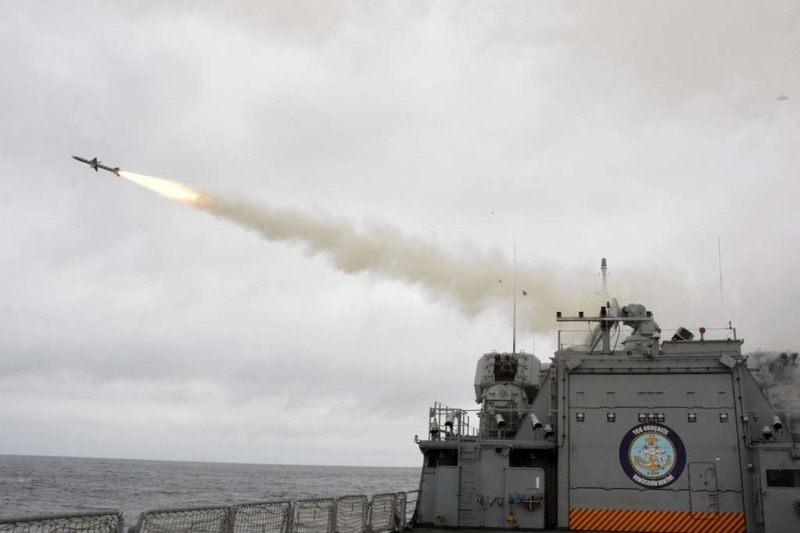 F-245 TCG Oruçreis firing one RIM-7 Sea Sparrow surface to air missile. Photo: Official Turkish Navy photo. 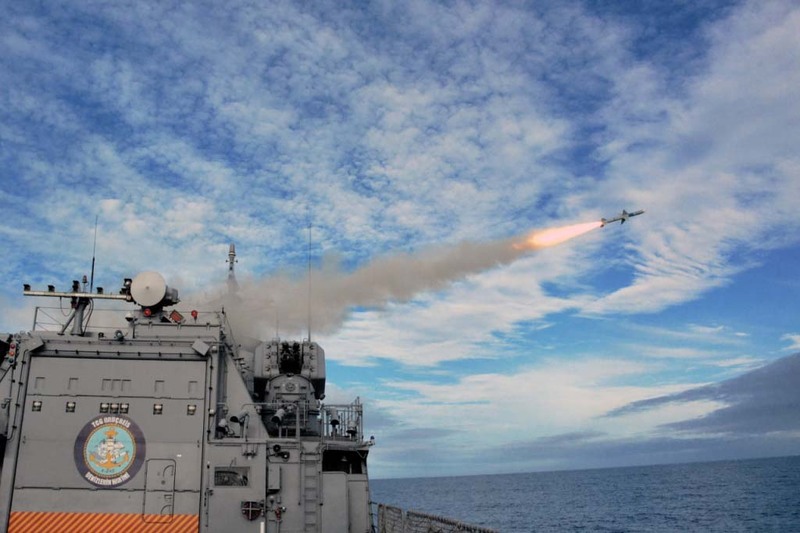 F-245 TCG Oruçreis firing another RIM-7 Sea Sparrow surface to air missile. Photo: Official Turkish Navy photo. F-495 TCG Gediz firing a RIM-162 ESSM surface to air missile. Photo: Official Turkish Navy photo. Another shot of the RIM-162 ESSM surface to air missile. Photo: Official Turkish Navy photo. 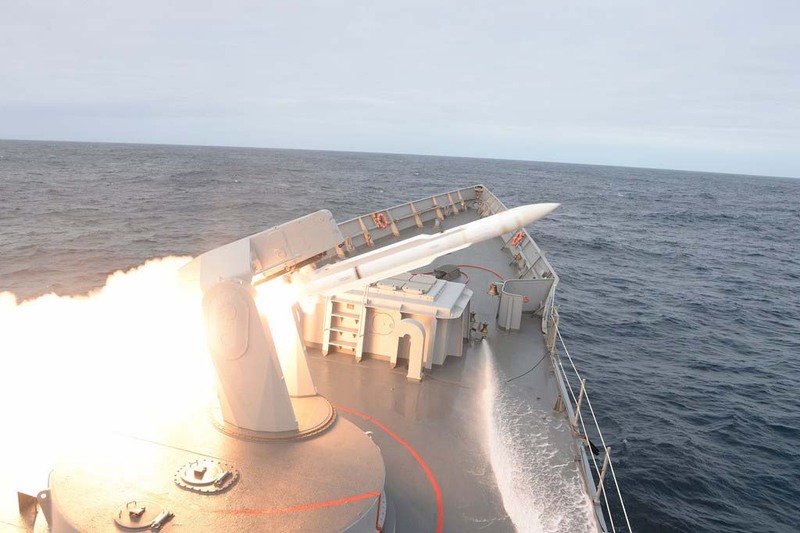 TCG Gediz firing a SM-1 Standart surface to air missile. Photo: Official Turkish Navy photo. 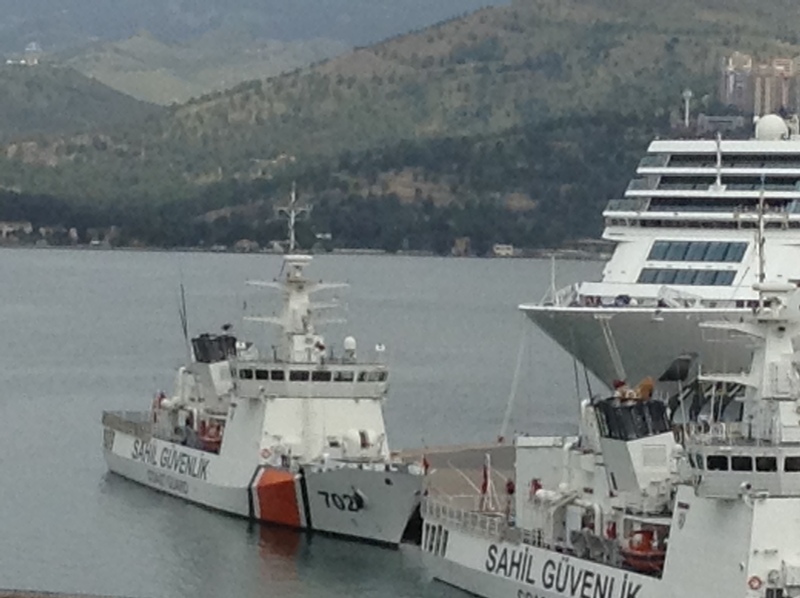 Last week between 6 and 9 May 2014, Turkish Armed forces conducted the Deniz Aslanı Search And Rescue exercise. The first phase of the exercise the rescuers responded to a simulated ship sinking with 92 passengers and 12 crew on board. In the send phase of the exercise survivors of a plane crash were located and rescued by the participating units. 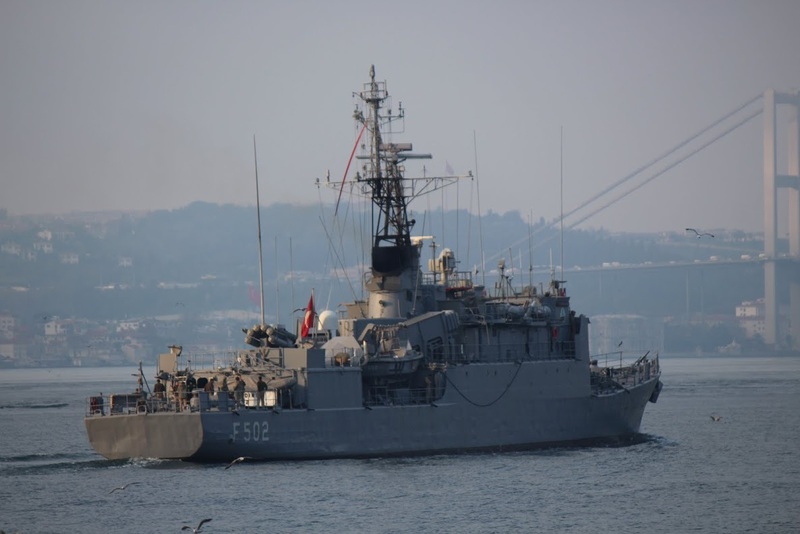 The Gabya class frigate F-496 TCG Gökova from Turkish Navy, the Dost class OPV’s TCSG Umut and TCSG Güven plus 6 patrol boats from Turkish Coast Guard and numerous air units took part in the exercise. Photo: Official Turkish Navy photo. 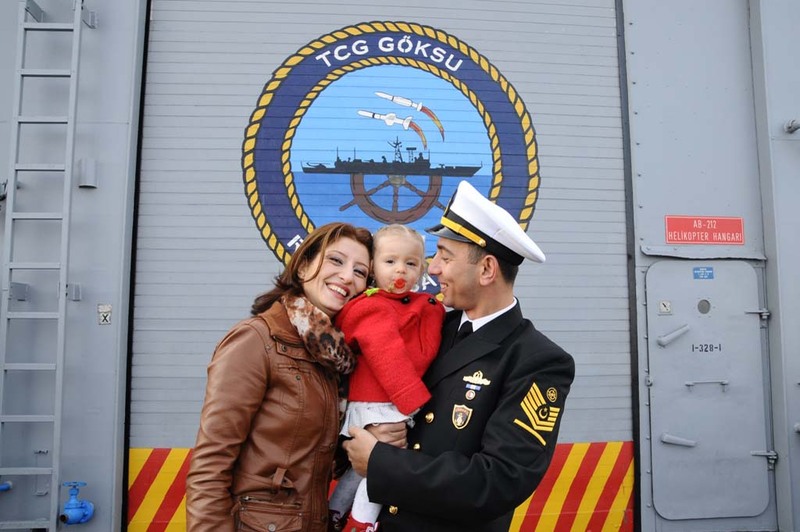 On 16 December 2013 after a 7 month deployment, Gabya class frigate, F-497 TCG Göksu returned her home port Gölcük. She has been in the Gulf Of Aden and Indian Ocean to combat piracy. Thank you for a job well done and welcome home.